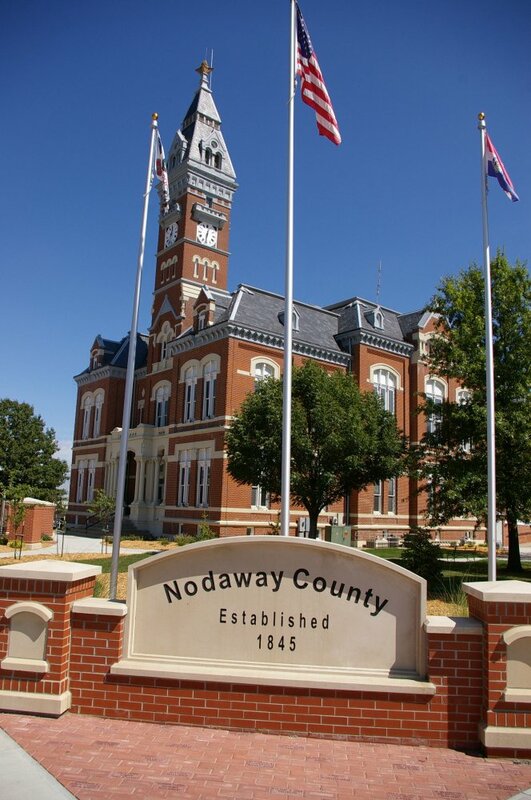 Nodaway County is named for the Nodaway River which is named after a Potawatomi Indian word meaning “placid” or “jump over the river”, or from the Algonquin word meaning “snake or “enemy”. 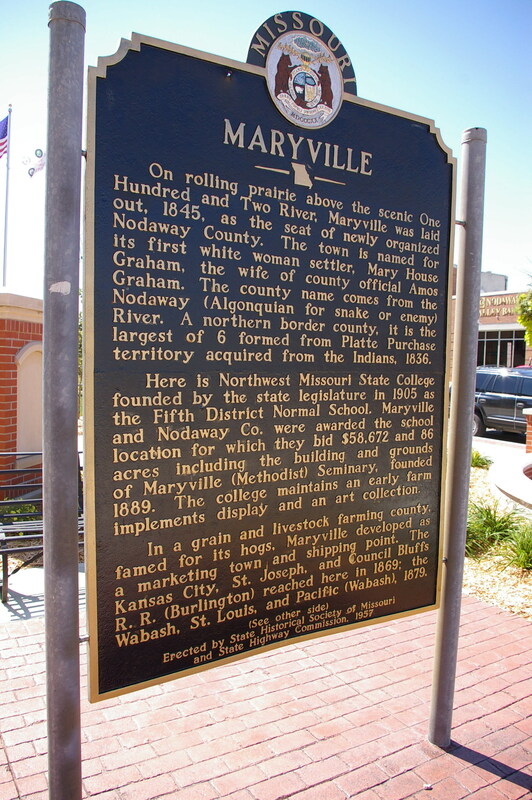 Description: The building faces west and is a two story red colored brick and stone structure. The building faces is 76 feet by 111 feet and is trimmed with sandstone. A white colored stone portico is at the first story on the west front. 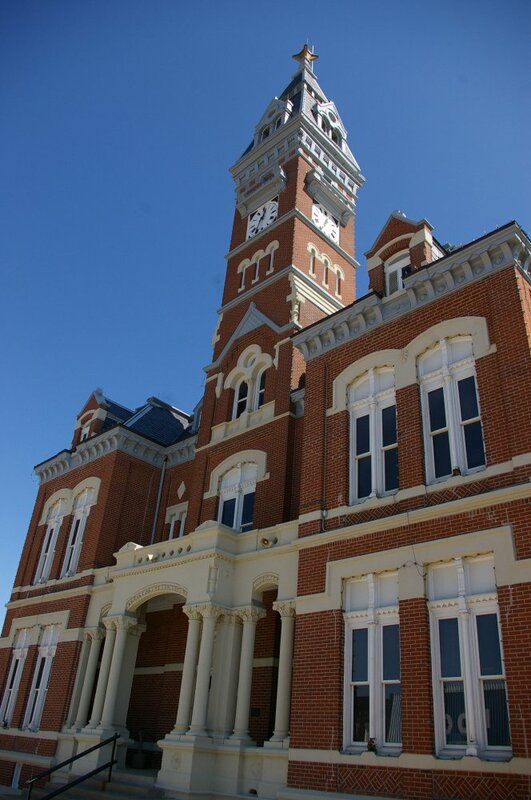 Above the portico rises a high thin brick clock tower with steep roof. The windows are trimmed with white stone. There are dormers in the roof. 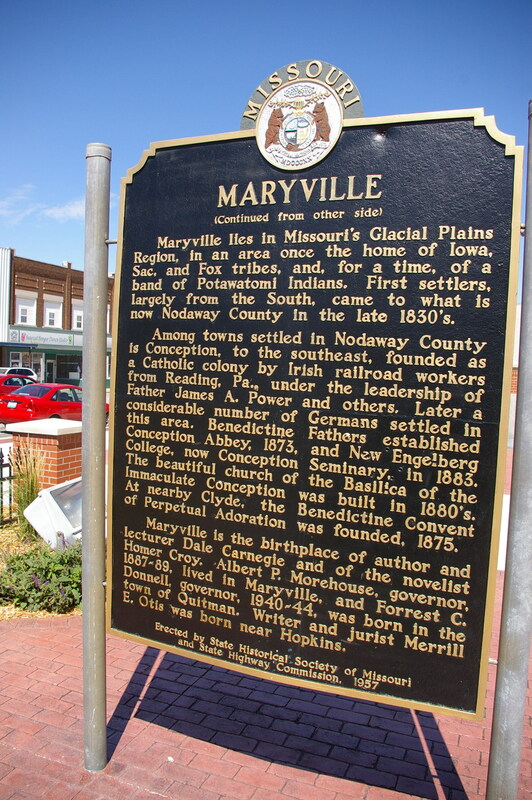 Alterations were made in 1932. Note: The first courthouse was built by Benjamin Sims in 1846 to 1847. The second courthouse was designed by James Ray, the superintendent and constructed by James C Nelson in 1854 to 1855 at a cost of $4,461. The cost of the present courthouse was $60,000. 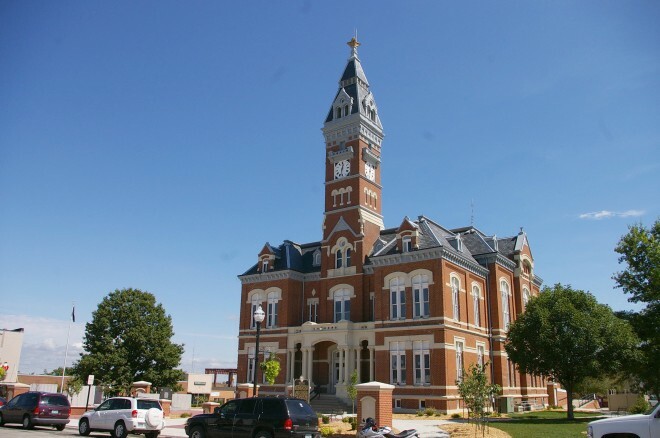 See: The architect, Edmund J Eckel and George R Mann of St. Joseph and the contractor, R K Allen, also designed and constructed the courthouse in Atchison County.